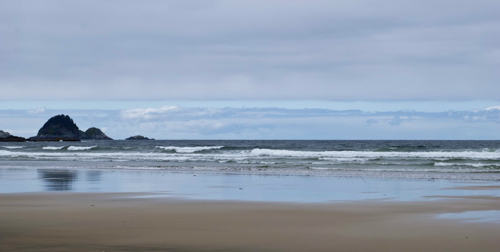 Once known as the "Paris of the Pacific," Sitka has charm. 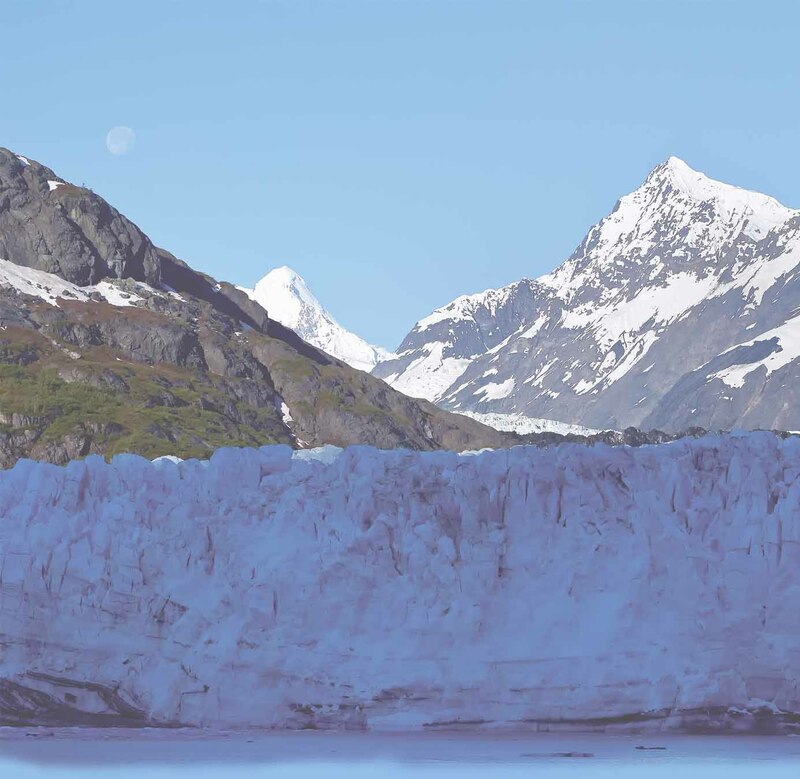 Steeped with Russian history, this former capital of Russian Alaska deserves a closer look. The natural setting is truly astounding. The town lies in front of a line of snowcapped peaks, and off shore are hundreds of tiny islands spread out like shards from a dropped glass ball. Off shore looms the Fuji-like extinct volcano called Mt. Edgecumbe. 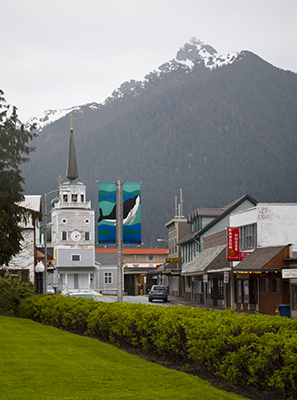 Sitka is the home of writers, fisherman, artist, and the Tlingit people. You can get there in 4 hours by fast ferry from Juneau. The route goes through Peril Strait and is so narrow you feel as though you could reach out and touch the trees as you cruise through. The ferry leaves Juneau at 8am several times a week and it is possible to cruise in the morning and fly back to Juneau in the evening giving you about 5 hours in Sitka. That is not nearly adequate time to discover all Sitka has to offer. The totem pole collection at the Sitka National Park combines a short hike with the surprise discovery of finding totems scattered along the trail. The totems seem to feel like they belong where you find them. Sitkans love music and they host a fine arts camp in the summers and sponsor performances by grammy winning musicians thourghout the year. Plan your trip to coinside with a performance. Sitka has a popular raptor center that offers tours. You can also visit the Na Kaahidi Tribal House and catch a performance of traditional native dance. The salmon fishing is great as is the whale watching. Some time the two trips are one in the same. You can hire a water taxi to take you to some astounding nearby scenery. A destination few travellors know about is Sea Lion Beach. You might mistake the beach there for one in the other uncontiguous state.